You know, the market that never sleeps (except on weekends). The Forex market is often referred to as the FX market, the Foreign Exchange Market, Spot FX or the currency market. Under any name, the FX markets represent one of the best opportunities for savvy investors and traders to earn a return on their investment dollars. What is Forex trading in a nutshell? 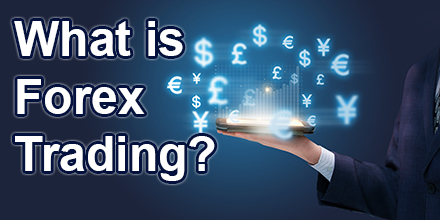 Forex trading is the simultaneous buying of one currency and the selling of another currency in order to profit from the difference between your entry and exit price. Over $5 trillion is transacted every day around the world. Traditionally, Forex was the domain of large institutions and global organisations. But with today’s impressive trading platforms, retail traders now make up a growing percentage of the overall market volume. For non-traders, the first taste of trading Forex happens when you make your first trip overseas. You have to change your local denominated currency into the FX rate of the place you are going. Let’s say you are travelling from Sydney to New York. This means you need to change your local Aussie Dollars to US Dollars. So you need to sell your Aussie Dollars and buy US Dollars. Simple, right? This brings us to the next point of Forex exchange rates. When you go to your local bank to change your currency, they provide a rate to exchange your dollars. They may quote you 0.7500/0.7900. This means to transfer Aussie Dollars to US Dollars you multiply by 0.7500. When you want to transfer back, you divide by 0.7900. So your $AUD1,000 will be worth $US750. The difference between the two rates is known as the spread. In an ideal world, anytime you make an FX trade, you want to have the spread as low as possible. Forex trading basics – How does the exchange rate work? When you see the FX pair quoted, the first currency is the base currency and the second quoted-pair is the counter currency. The other key thing to note is all Forex transactions are traded in pairs. The performance of a currency pair can give you an excellent idea of how one country’s economy is doing relative to the other. The EUR/USD is the Eurodollar vs the US Dollar. The Eurodollar is the base currency and the US Dollar is the counter currency. The EUR/USD is nearly always called the Euro or Eurodollar. Now is the time to make a call. Do you think the Euro will rise against the US dollar or fall? If you think it will rise, then you need to buy the EUR/USD pair. This means you are buying the Euro and simultaneously selling the US dollar. If the market (the EUR/USD pair) rises, then you will make a profit. If it falls, then you will likely have to close your position at a loss. But if you think the Euro will fall against the Euro, then you will need to short the Euro and buy the US dollar. If the market falls in value then you will be in profit and if it rises then you will make a loss. The good news is you can make money in both rising or falling markets. To profit as the market is rising, you will be buying the base currency. To make money as the Forex market is falling, you will sell the base currency first. The Forex market exists to facilitate international trade and investment from one country to another. While you and I may get excited about our recent win trading the Aussie vs US dollar pair, we make up a tiny fraction of the global trading volume. Forex doesn’t turn over $5 trillion a day thanks to mum and dad investors but instead, the bulk of trades are done at a government and institutional level. Who are the biggest players in the Forex market? Known as the market that never sleeps, you may like to know there are three main Forex timezones you must keep an eye on. The most amount of trading volume goes through at the open of each of these sessions, with the biggest being the crossover between London and New York. When it comes to trading any market, liquidity is king. One of the reasons stock market traders move to the Forex markets is due to liquidity. Stocks have a tendency to gap. When stocks gap down and you are long, the loss you take on the day can be severe. As a result, many stock traders move to the FX markets in order to virtually eliminate gapping (FX markets rarely gap) plus the benefit of massive liquidity. Getting in and out of the Currency markets is a breeze. Liquidity is not a problem. Having said that, you may still want to trade around the busiest trading sessions such as from the London to New York open. The FX market opens daily in New Zealand and then a few hours later in Australia but the trading volumes are low. Be aware of this when placing your trades. All Forex trades are transacted in pairs. 1 pip is the smallest price the markets trade in. 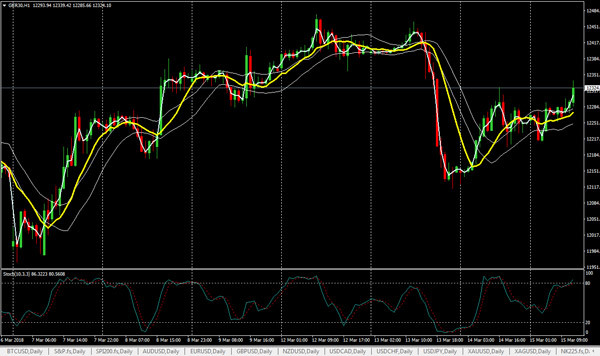 When the forex market on the EUR/USD moves from say 1.2300 to 1.2301, it is said to have moved 1 pip. FX currency rates are quoted to 5 decimal places. You will see the EUR/USD pair as quoted as 1.23101 on most FX platforms. The 4th decimal place is the equivalent of 1 pip. Most people refer to currency pairs going up and down by so many pips. A big figure is 1 full cent movement. So if the Aussie Dollar moved from 0.7800 to 0.7900 you would say it has moved 1 big figure. On January 15, 2015, the Swiss National Bank unpegged the Swiss France to the Euro causing mayhem and bankrupting a number of Forex brokerage firms. Majors, Minors, Crosses and Exotics – What are they? You may have heard the terms above when traders discuss the FX Markets. So let’s get some clarity on what they mean. That is a very interesting question. Bitcoin has taken the world by storm by late 2017. You can see the incredible price move from September 2017 to December 2017, with Bitcoin rising an astonishing 464 percent in 66 trading days. But as you can see (as of March 15, 2018), the price has broken a key support level. Only time will tell what happens next. Firstly, Bitcoin is not a major FX pair. That is for certain. But in terms of being a Forex pair, traders aren’t too worried as to what it is called. This is due to it being a Bitcoin CFD, which trades just like an FX pair. For ease of purpose, most Forex brokers refer to it as BTC/USD or Bitcoin vs US dollar. Exactly like Gold (XAU/USD). These are the FX pairs without the USD on the base or counter currency. Exotic Forex pairs are those currency pairs which are thinly traded and low in volume. But they are also pairs that can have the most volatility. As they are not as liquid, bigger traders can push them around and run stops. Some people may love history but the reality is you likely want to get involved in trading. You know, the exciting part about Forex trading. So let me bullet point the key historical facts people love to know about the Forex market. Back in 1875, the Gold standard was introduced. This meant for the first time in history, a currency was created that was backed by Gold. Prior to this, people commonly traded Gold and Silver coins in exchange for goods and services. And of course, we cannot forget the barter system. The problem with the Gold standard was governments had to store a lot of Gold. But major European economies found expansion plans difficult between World War 1 and WW2 as there wasn’t enough gold in circulation to keep up with their printing presses. Introducing Bretton Woods. In 1944, 700 representatives met in Bretton Woods to overhaul the gold standard monetary system. It was during this meeting the US dollar replaced the gold standard and became the primary reserve currency around the world. It was then the International Monetary Fund (IMF) was established. At the time, the US dollar would be the only currency in the world backed by Gold. But of course, there is only so much Gold available. In 1971, President Richard Nixon axed the Gold standard, making the end of Bretton Woods. In any case, that is what we have available to us now. It may not be perfect and perhaps one-day cryptocurrencies could move more into the picture but that’s our global solution. As a speculator, you and I have access to the world’s most sophisticated Forex trading platforms in the world. And at a price that suits everyone. Free. Incredibly, retail traders have access to a number of outstanding platforms which provide an incredible array of trading tools and for the most part, everything is free. When it comes to Forex trading platforms for retails trader, there are four main ones to choose from. I have reviewed the top 4 forex trading platforms here. Feel free to check it out. So what are the best Forex trading platforms? Here are the main ones available. Some are free and others have a monthly charge or are free depending on your monthly turnover. Also, keep in mind many people trade currency and spot FX via spread betting platforms. These are the choice for those in the United Kingdom and Europe mainly. Ask 100 forex traders what is the best forex strategy and for sure you will get 100 different answers. The beauty of the FX markets is how dynamic and unique they are. Most importantly, you must develop forex trading strategies that suit your personality. Many traders love to use technical analysis to make buy and sell decisions when trading the Forex market. The chart below shows a basic candlestick hourly chart with some technical indicators over the top. 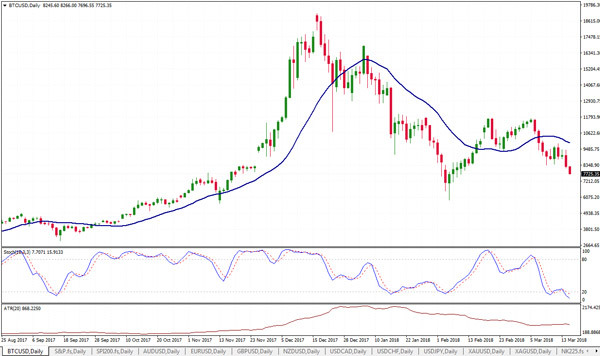 The indicators used below include moving averages and a stochastic. Forex charting is used by millions of traders. The trick with indicators is that they are just mathematical formula’s applied to the price and volume data. They are not forward-looking and they cannot tell the future. But traders love to use the full range of charting tools to get their buy and sell signals. Click play on the video below to see 6 Forex Trading Strategies you can test, all of which use moving averages. Moving averages are often the bedrock or foundation of all technical trading strategies. Unless of course, you use Price Action trading. Price Action traders prefer to use zero technical indicators. Fundamental analysis considers the underlying economic and political forces at play with countries all around the globe. Supply and demand of each currency play is also a huge factor. When people ask ‘What is Forex Trading?’, most people will talk about the macroeconomic factors and fundamentals that come into play with each country. If you are to be a successful Forex trader, you will need to know what are the key economic releases of each country. Type in ‘economic calendar‘ in Google and you will find plenty to choose from. In particular, the data out of the US is extremely important because the US dollar is involved in around 90% of all international trade. The screenshot below is from DailyFX and hows a handful of medium and high-level economic releases for the day ahead. Some of the best traders in the world use a combination of fundamental and technical analysis. Together they provide deep insight into the underlying value of each currency pair with the timing of technical analysis. For example, US interest rates have been incredibly low for many years. Fund managers have been able to get better returns by placing their money in other countries. But with 3-4 interest rate rises expected this year alone, you may have the view that money will flow back into the US dollar as a result of the interest rates rises and a few other fundamental reasons. You then bring up the technicals. One of the underlying Dow Theory ideas is to trade in the direction of the trend. But right now the Dollar Index (DXY) is heading south. The US dollar is falling against its global counterparts. So the technicals do not favour a bullish trend unfolding right now. So you may keep a close eye on the fundamentals and if and when they align with a positive technical trend, you may decide to buy the US dollar. This is a very basic form of identifying a buying opportunity for those using a combination of fundamental and technical analysis with their Forex trading. Are there risks involved in the Forex market? Yes. As with any financial instrument, risks are involved. But the Forex market is one of the most highly leveraged markets in the world. This means you can trade much larger than your account size. In fact, some Forex brokers will allow you to trade up to 400 times your account size. So a $1,000 outlay can control $400,000 in total position size. You can view our Forex broker reviews here. Bottom line is, you can lose much more than what you start with. As a result, you should always trade small position sizes and risk a small fraction of your overall account on any one trade. You must understand the risks involved in trading Forex before you get started. Consider this your risk warning. Trade light. To move you away from the risks of Forex trading, you may want to click play on the video below to see the top 3 trading tips for Forex traders. For those interested in retail foreign exchange trading, you have a number of options to access the market. Exchange Traded Funds (ETFs). ETFs allows you to go long or short the US dollar just like you would a normal stock. In the US, you can trade the stock ETF UUP and UDN for both long and short opportunities on the USD. You can trade CFDs or Contracts for Difference on over 60 Forex pairs. CFD trading allows you to trade on margin. Some Forex brokers will allow you to trade up to 400 to 1 leverage. But if you are running any sort of risk management, then you will never trade at such high leverage levels. A currency future contract. Futures contracts are the main way for institutions and banks for exchanging currencies. Typically, the contract size and upfront margin required makes it less appealing to retail traders. Options trading provides another alternative for those looking to access foreign exchange trading. Mobile trading platforms in 2018 are also brilliant. You can trade Forex via a mobile app, which is often as feature rich as the full desktop version. With bigger screens, mobile phones are ideal to trade on the go. In conclusion, the information above contains the basics of the Forex markets. Consider it an introduction to Forex trading. So now you know what is Forex trading. Well done. Learn everything you can about the Forex market as it is one of the most exciting markets in the world. The real beauty of trading Forex is the skills you learn can be scaled up. This means what works on a $10,000 trading account can be applied to a $20,000 or $50,000 account. Due to the depth of liquidity, the Forex markets are one of the best markets retail foreign exchange traders can master. Should everyone learn to trade Forex? Are the Forex markets suitable for all investors? To be honest, not really. The Forex markets are highly volatile and some people prefer to trade more vanilla markets such as the stock market. But for those who love fast-moving, volatile markets which never sleep, then trading FX can be a great way to access opportunity across the global markets. Be sure to read the best Forex trading books so you can get your trading off on the right foot. If you are new to trading, then start with a demo account or practice account. Otherwise move straight to a real account or live account.